Since the 1980s, increasingly frequent and intense heatwaves have contributed to more deaths than any other extreme weather event. The fingerprints of extreme events and climate change are widespread in the natural world, where populations are showing stress responses. A common fingerprint of a warmer world is a range shift, where the distribution of a species moves to higher altitudes or migrates toward the poles. A review of several hundred studies found an average shift of 17km poleward, and 11 metres upslope, every decade. 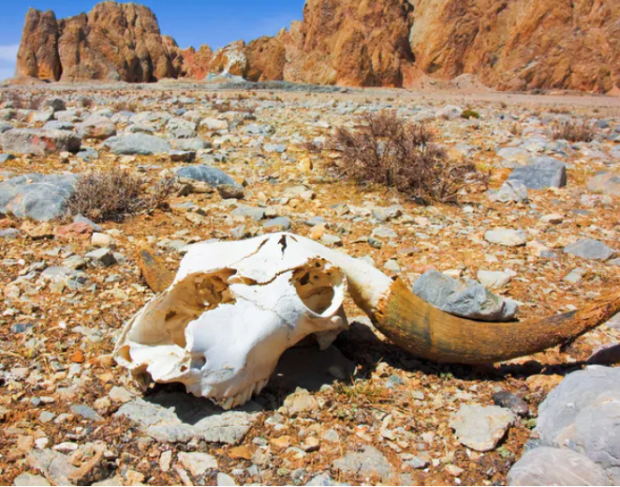 However, if temperature changes are too intense or lead species to geographic dead ends, local extinctions occur in the heat. In 2003, 80% of relevant studies found the fingerprints were seen among species, from grasses to trees and molluscs to mammals. Some migrated, some changed colour, some altered their bodies and some shifted their life cycle timings. A recent review of more than 100 studies found 8-50% of all species will be threatened by climate change as a result. Currently, we have a disturbingly limited knowledge of which biological traits are sensitive to climate change and therefore responsible for local extinctions. However, a potential candidate is male reproduction, because a range of medical and agricultural studies in warm blooded animals have shown that male infertility happens during heat stress. However, until recently this had rarely been explored outside fruit flies in cold blooded animals. This is despite the fact that ectotherms – organisms that rely on heat in their environment to maintain a suitable body temperature – comprise most of biodiversity. Astonishingly, nearly 25% of all species are thought to be a beetle. The red flour beetle (Tribolium castaneum) is a useful ectotherm for large experiments on reproduction, as they can go from egg to adult in a month at 30°C. Females can store male sperm in specialised organs called spermathecae and they only need to keep 4% of a single ejaculate to enable them to produce offspring for up to 150 days. To look at the impact of heatwaves on reproduction, beetles were exposed to either standard control conditions or five-day heatwave temperatures, which were 5°C to 7°C above their preferred temperature. Afterwards, beetles mated and a variety of experiments looked for damage to their reproductive success, sperm form and function, and offspring quality. We found that 42°C heatwave temperatures halved the number of offspring males could produce relative to 30°C, with some males failing to produce any and mature sperm in female storage also experiencing damage from heatwaves. However, the reproductive output of pairs where only the females endured a five-day heatwave event was similar in all temperatures. The decline was likely due to a combination of males becoming worse at mating, less sperm being transferred, less sperm transferred being alive, less sperm being kept in the females’ spermathecae and more sperm being damaged and infertile. Two results were particularly concerning. These beetles, and many cold-blooded animals, can live for years and are likely to see multiple heatwaves. When we exposed males to two heatwave events, ten days apart, their offspring production was less than 1% of that of unheated males. This suggests that successive heatwaves can compound the damage of previous ones. The damage to offspring longevity and male fertility was another effect which was compounded over successive generations, and could lead to spiralling population declines. Knowing what aspects of biology higher temperatures could compromise is essential to understanding how climate change affects nature. Hopefully, this new knowledge can help predict which species are most likely to be vulnerable, allowing conservationists to prepare for the trouble ahead.